Actually, AutoCAD 2011 has been released too, but for us, AutoCAD 2008 is still good enough for general purpose drawing reviewing and sketching as per on site requirement. 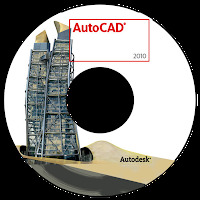 However, for those who would like to experience better performance of AutoCAD 2010, this post will help you to be able to get your AutoCAD 2010 to be activated. The steps that needed to do is described inside the file that zipped together with the dll file that needed to replace in the same folder your AutoCAD 2010 was installed. to give one thing back and help others like you helped me. can have a hyperlink change contract among us!